I don't know if it's cheating, but I have an ARL44 by Cromwell Models to build. I'm saying "cheating" because it's a very simple build. 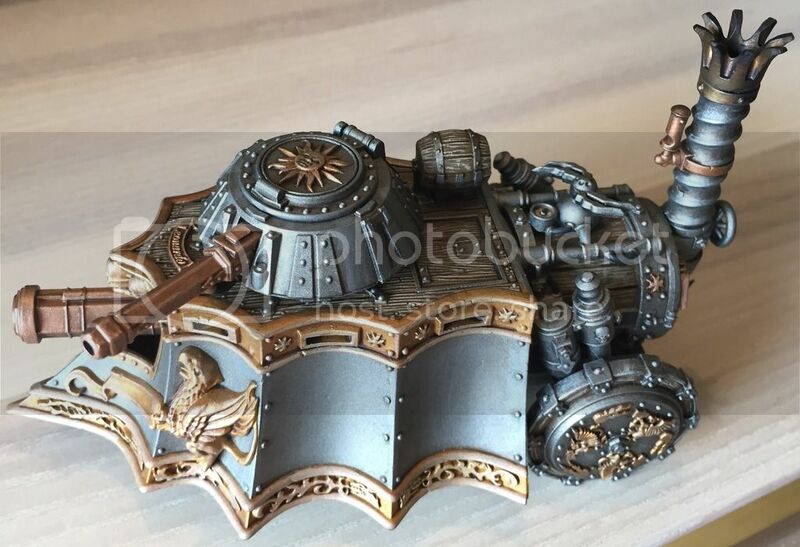 If it's acceptable, do I have to use hairy sticks, or can I use an airbrush to paint it? 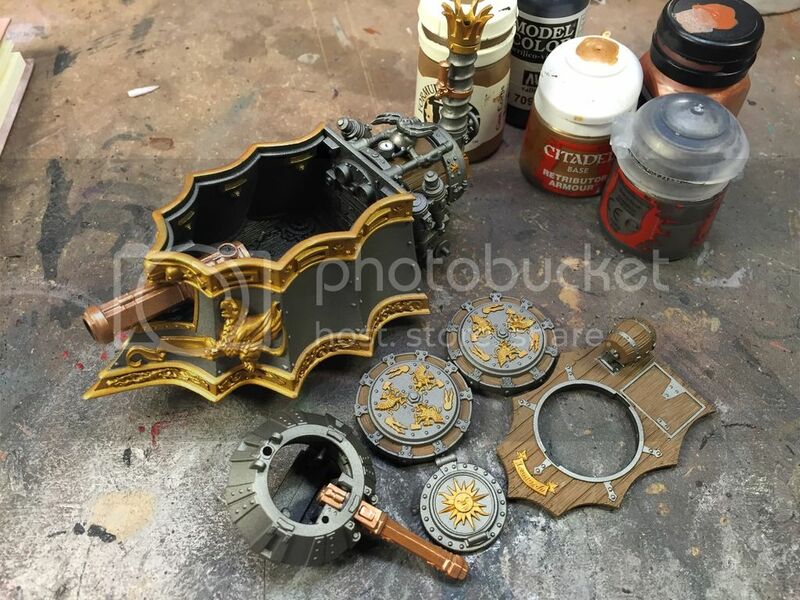 Do weathering products (oil paints, pigments, etc) count? I plan to build a simple, no-frills kit as well. I have not decided on the kit yet, but probably something simple as well. 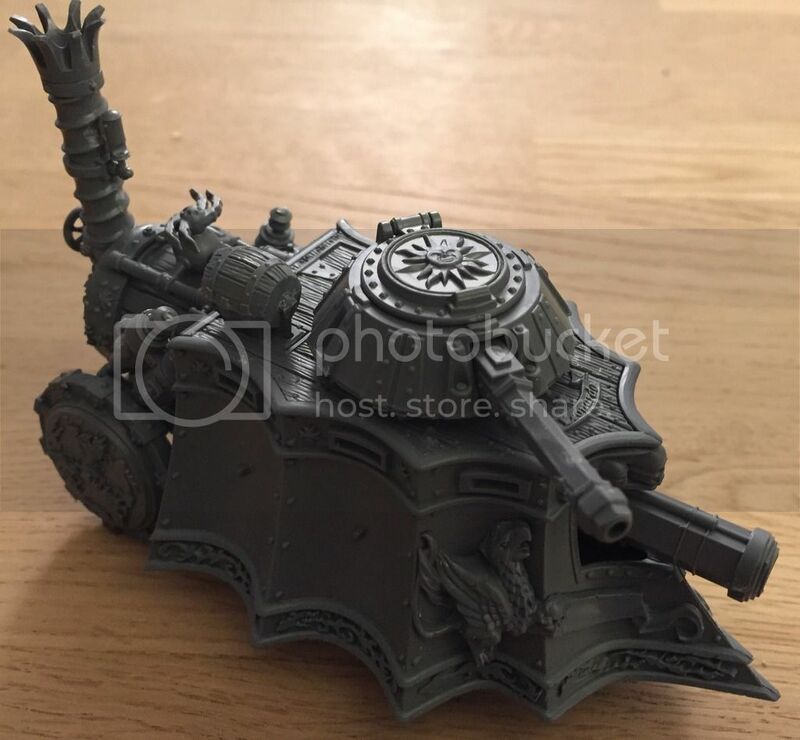 Maybe a games workshop steam tank. 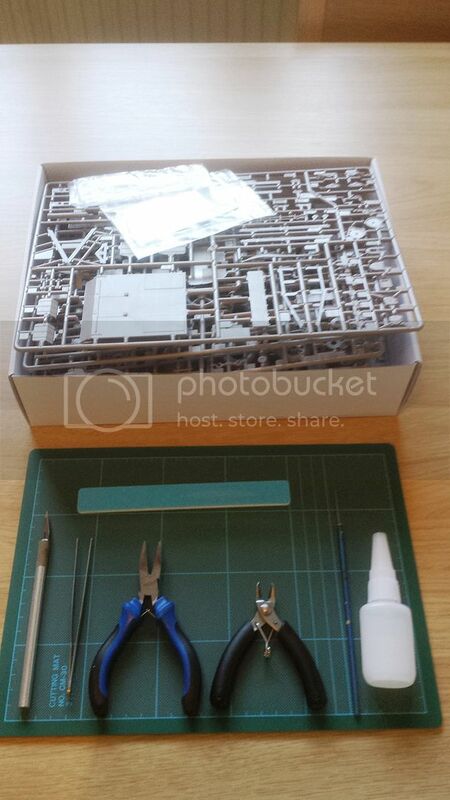 For sure it will be a pure plastic kit. That sure was a quick build Jesper. Looking forward to its progress. 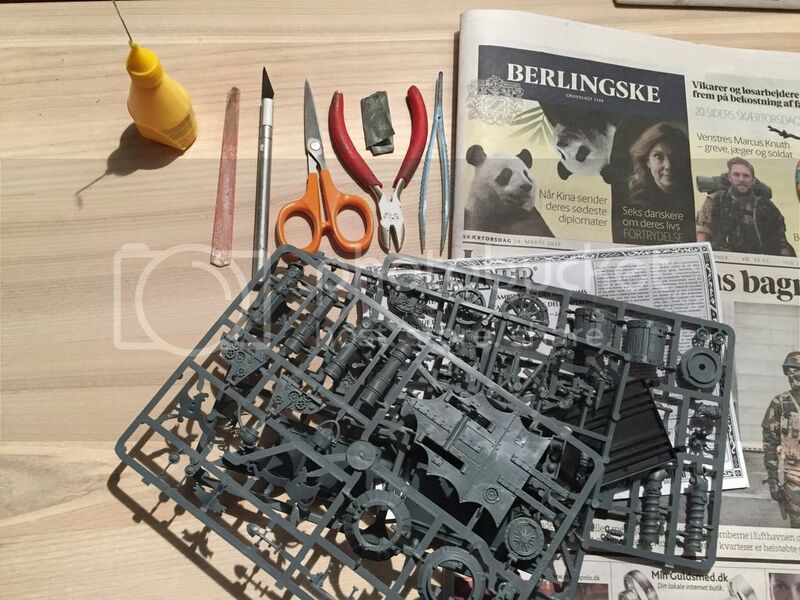 This is the kit; Meng's German A7V 1/35th scale and the tools that I will be using to complete this campaign. I like the theme of this campaign. My skills are basic already and that makes this project fit like a glove. I have an old Tamiya Panzer II Ausf F that has been in my pile for years. The date molded into the hull is 1971 and it was made back when Tamiya wasn't sure if it was a toy company or a model company. This kit was originally motorized and has some compromises to accommodate the monkey motion parts that it was designed to have. Despite its age, the kit parts look pretty good and I expect it to make a decent little model. I have ordered a set of Fruil metal tracks to improve the appearance and so have included a pair of nippers in the tool selection to cut the metal wire. Here are a couple of pics taken last night before any construction has taken place. The way I'm doing the pictures results in thumbnails linking to larger pictures. I see others manage to get the complete pictures into their posts. Can anyone tell me how to do this? 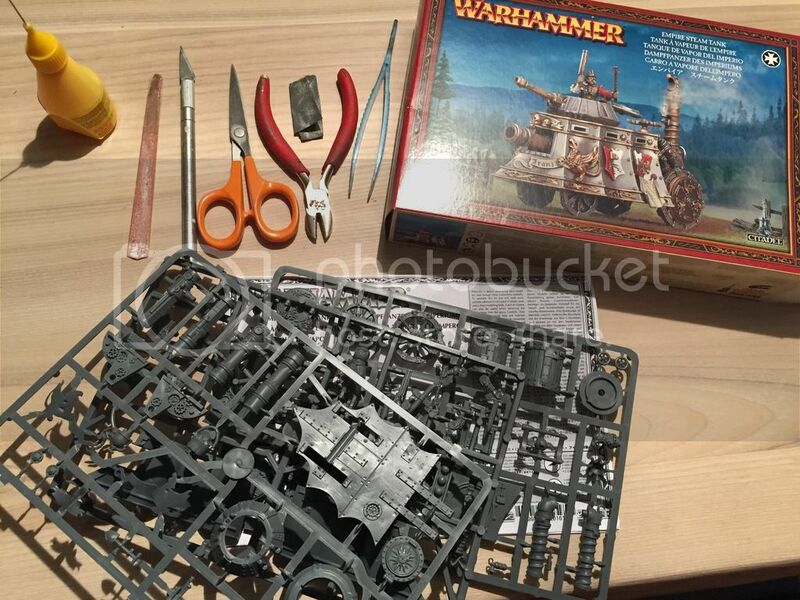 Nice choice Paul, I plan to do the same kit too. Thanks Tat, I'll give this a try and see how it goes. You are also doing this kit. Does your set of instructions give any details about the decal markings? Mine is completely mute on the where and when the markings were used. Even the placement is breezy at best. Yes, the picture came out full size. Thanks for the tip! Scroll down midway and there's a PDF file you may download. I have a couple of campaigns to get across the line so I may be starting on my build a bit later. I checked that PDF, thanks for the link. This turned out to be just what I have in the box. There are side profiles showing the decal locations but the front & back locations are somewhat breezy. Worse for me, the descriptions are all in Japanese, a language I do not read or speak so the color call outs, dates & places for the markings are just a guess. I do have a couple of books that will help with this and will just take a best guess approach. I too am working on builds for other camps. Right now I'm having great fun with a StuG III for the 500+ campaign. Paul, there is a new Google app that allows you to take a picture of text and it will translate. Fantastic technology. I have used it for Japanese menus to get the English translation. 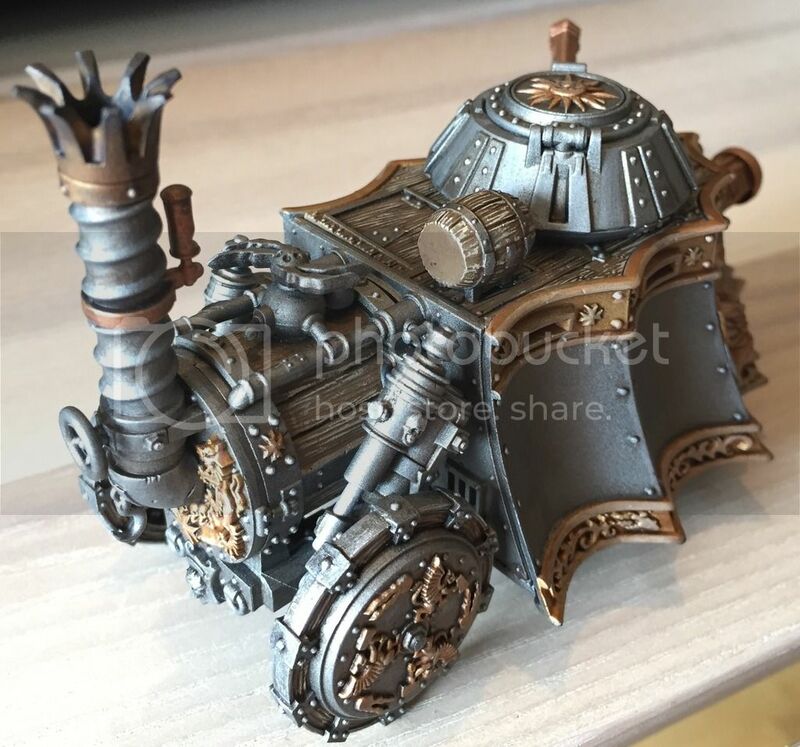 I have finished the build of my Games Workshop steam tank. It turned out that painting was also very back to basics. A base coat by airbrush and the rest by brush. Only two different brushes were used. Hope it does not show. Great campaign and great to get back to basics like the good old days. It has been a while since I visited the site and this campaign looked like fun. I have a kit in mind and will put the tools together and take a photo to show my start. If I am able to remember how to post, here is my kit and tools. 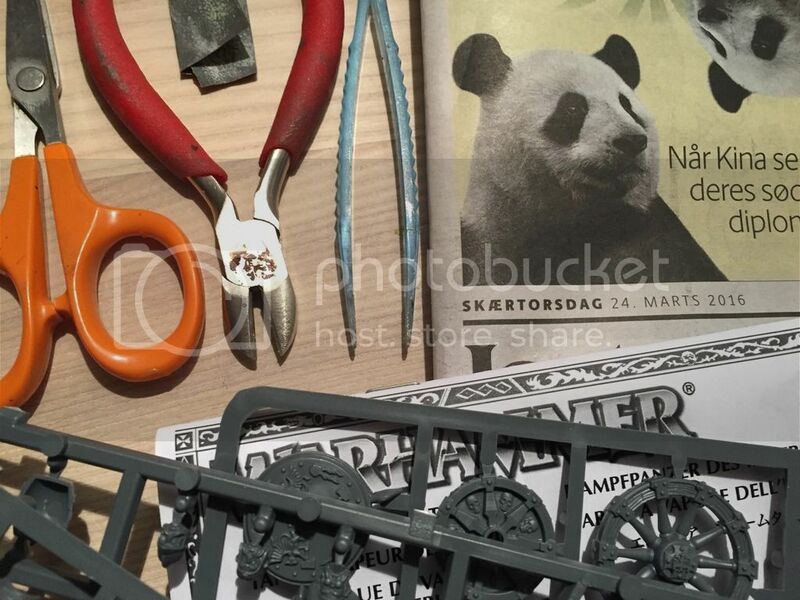 Jesper, that is a really neat looking build. 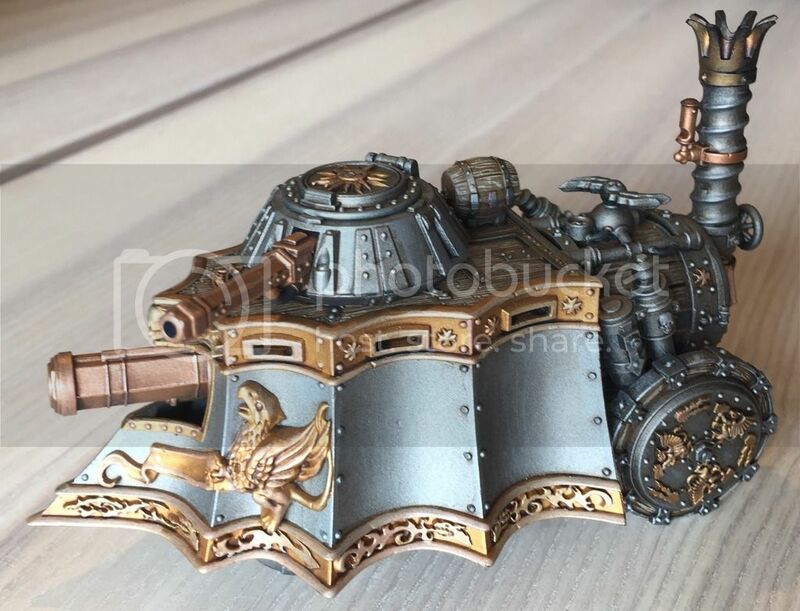 I am looking for another kit in my stash to build for this campaign. The build that I started is now in my parts bin after an accident. I found a DRAGON Pz.Kpfw.I Ausf.B that I will use for the campaign. Removed by original poster on 05/15/16 - 23:24:34 (GMT). Removed by original poster on 05/15/16 - 23:41:14 (GMT). Having trouble with photobucket, so lets see if this photo posts. This is going to be my entrance for the campaign. I will build Italeri Nebelwerfer 41 and my tools are pretty basic: Tamiya's extra thin glue, Gunze's Mr. Surfacer 500, Tamiya's sharp pointed side cutter, nail file and a scalpel. I keep several kits in one box and that is the reason for the pieces you don't see on the sprues but as you can see I didn't cut them close to the pieces. Put me in coach I'm ready to play.